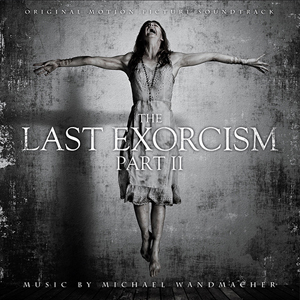 Screamworks Records presents a truly eerie soundtrack album featuring Michael Wandmacher’s original score from the sequel to the 2010 surprise horror hit The Last Exorcism, produced byHostel director Eli Roth and starring MTV Award nominee Ashley Bell as young Nell Sweetzer who re-ecounters the evil that possessed her in the first film. Wandmacher, who is no stranger to the horror genre after effective scores for films such as Piranha and My Bloody Valentine, evokes mystery with dark themes and vocal effects while anxiety and sheer terror is conveyed with deeply textured electronics, prepared piano and orchestral avaunt-garde writing. The album is released digitally online and on CD co-inciding with the theatrical release of the film in United Kingdom and Germany. 5/5 I love scores that scare me, I love movies that scare me... here is the best of both worlds.